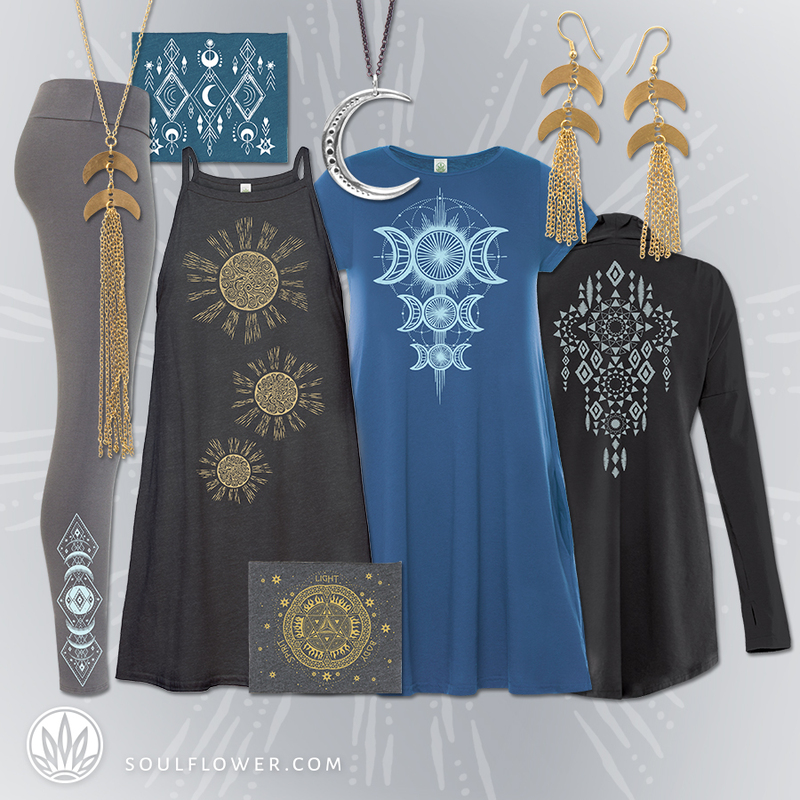 August 21st Solar Eclipse: Remember to look up! 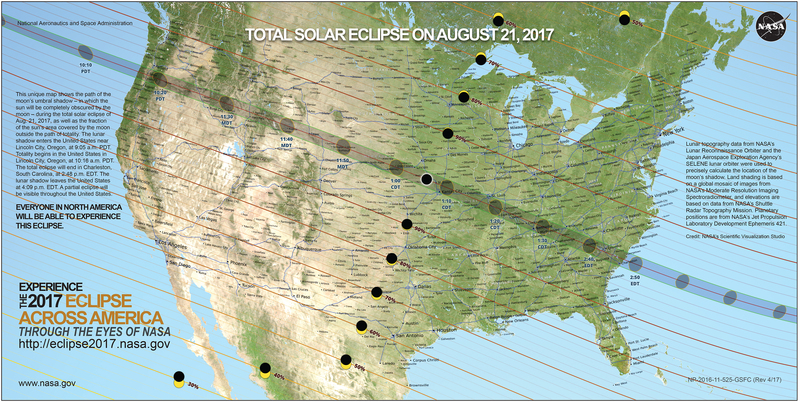 On Monday, August 21, 2017 all of North America will experience a solar eclipse. A solar eclipse is when the moon lines up just right between the earth and the sun and blocks the sun, creating a temporary shadow on the surface of the earth. There are only 2 total solar eclipses every 3 years that happen somewhere around the globe. The last time the States saw a total eclipse was 38 years ago in 1979! Everyone in North America will see at least a partial solar eclipse (at least ~50% coverage if you’re in the contiguous US states). In order to see the total eclipse, you’ll need to be in the path of totality, a thin area that crosses the US from west (Oregon) to east (South Carolina) through 14 states in between. Everyone and everything within that path is plunged into an eerie darkness for a few minutes. The eclipse will start on the west coast at 9:05am PDT. The moon’s shadow will race across the continent at over 1500 mph and leave the United States on the east coast an hour and a half later. It takes a couple hours for the moon to drift across the sun from wherever you’re standing. 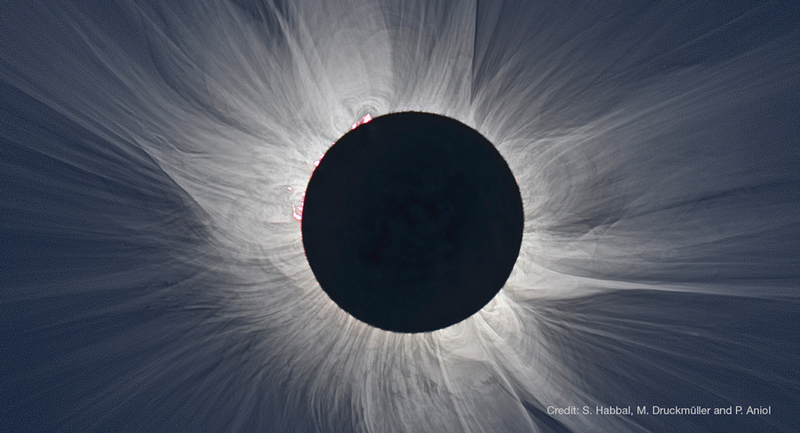 If you’re in the path of totality, complete coverage lasts only about 2 1/2 minutes! Partial or total, fingers crossed we all have good weather to experience the eclipse. The celestial bodies around our earth are amazing, and a constant source of inspiration. They’re a reminder that we are tiny and life is short. The totality experience challenges us to think about our lives. We feel the vastness of our Universe, and recognise that we are a very small part of it. This feeling of insignificance is empowering. Many feel a sense of connection to humanity, and recognise that our lives are fleeting – just like totality. Some find the totality experience as a turning point to make important life choices. You know that phrase, “if you’re looking for a sign, this is it”? But if you’re looking for a sign from the universe, let this August 21st eclipse be it. Am I allowing my best self to shine? Are my dreams and goals big enough? Am I filling my life with energizing and inspiring experiences? Every once in awhile, reflect on where you’re at and where you’re going. Quiet the chatter and get in touch with nature and the universe ever-swirling around you. And wherever you find yourself during the eclipse, remember to look up! For more info and safety tips for viewing the eclipse safely: Nasa’s Eclipse 2017. 1 Comment on August 21st Solar Eclipse: Remember to look up! What a wonderful post–very inspiring! 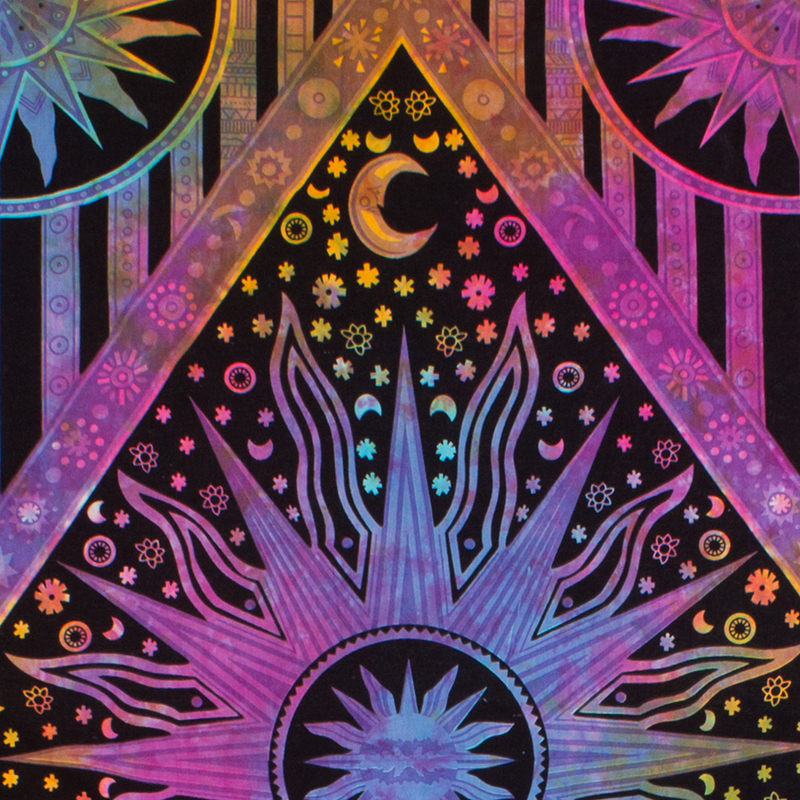 Thank you and wishing you good vibes, peace, and growth during this celestial event. xo and have a Grateful Day!